This octopus was captured on video by Randy Parker while it was out in the open, on the hunt. This is a rare sight, since they are shy and usually remain hidden during the day. 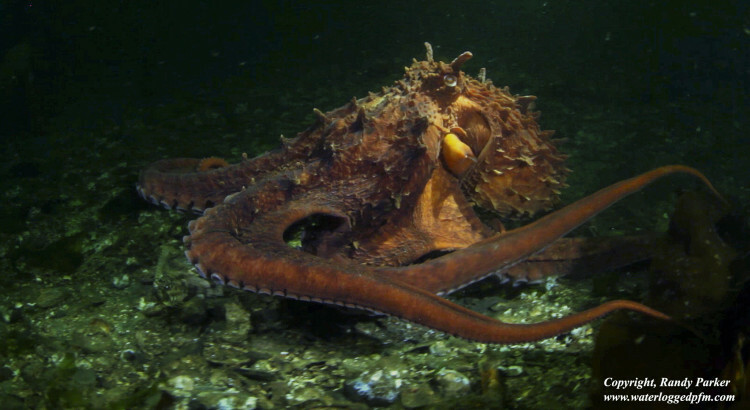 These Giant Pacific Octopus (enteroctopus dufleini), living off the northwest coast of North America are the largest octopus on the planet. Average adult size can be 15 kg.’s with a radial arm span of 4.3 metres. However, very large individuals have been reported weighing over 250 kg.’s with an arm spread over 8 metres. These invertebrates of the cephalopod family can change the colour and texture of the their skin, can taste by touch, have three hearts, and copper-based blue blood. They are highly intelligent, yet relatively short-lived, living only to 3-5 years. These cephalopods have been on the planet for around five hundred million years. However, due to climate change, warming seas and ocean acidification, they are under threat due to their needs for water highly saturated in oxygen, and since much of their prey, (shrimp, crabs, scallops, abalone, clams) are threatened by acidification issues. They are also heavily predated by humans. 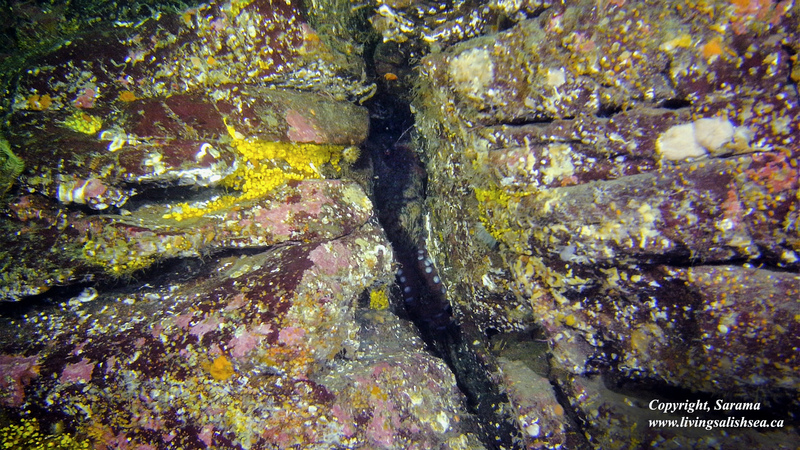 In the central vertical crack hides an octopus of about six feet in radial span. They are very easy to miss, even when directly in view. 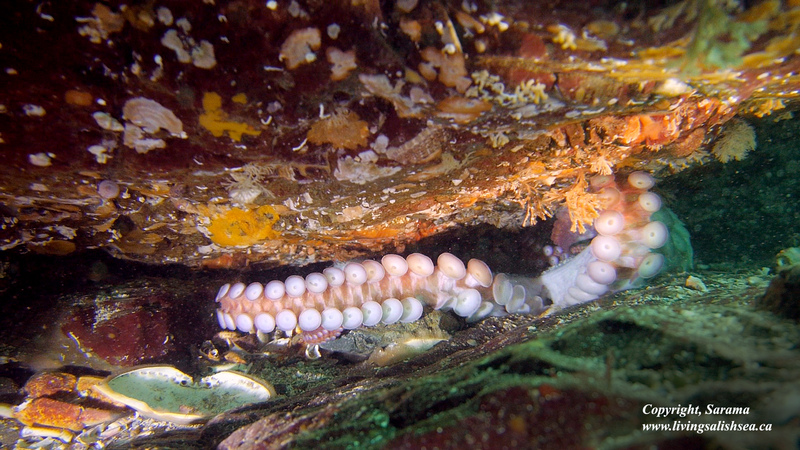 A give-away sign of an active octopus den is the tell-tale detritus of past meals, especially crab shells, since crabs are a favourite food of octopus.